My SIL wanted to make Dahlia Pom-Poms to decorate her friend’s bridal shower, so she enlisted my help. I ended up making most of them for her. I’m not sure how I get suckered into these projects, but they’re actually pretty fun. I’m at my best when I’m working on a crafty project. Tissue paper – they usually comes in packs of 10 or 20. 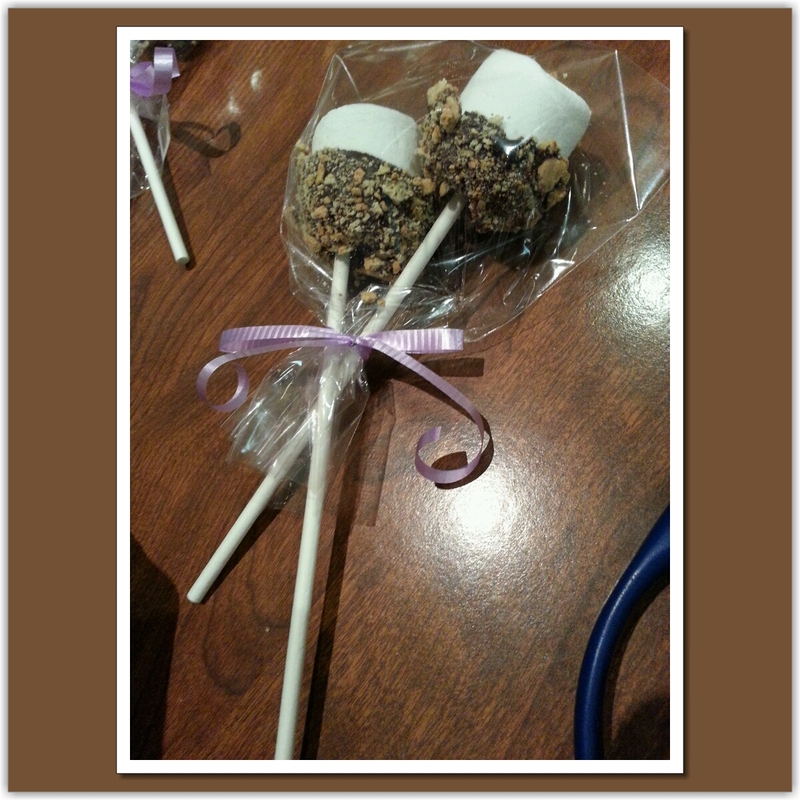 Each pack of 10 makes 1 Pom Poms. StringCount 10 pieces of tissue paper & lay it out. Then, starting on the short end, fold the paper into an accordian (~2 inches thick). Once you are done, fold that in half to find the midpoint. Using 2 twisty-ties, place one on each side & twist them up at the midpoint. Then tuck the ends into the middle. Add a long piece of string (~2 feet) & double knot it at the edge. You can always cut the string later if you need it shorter. 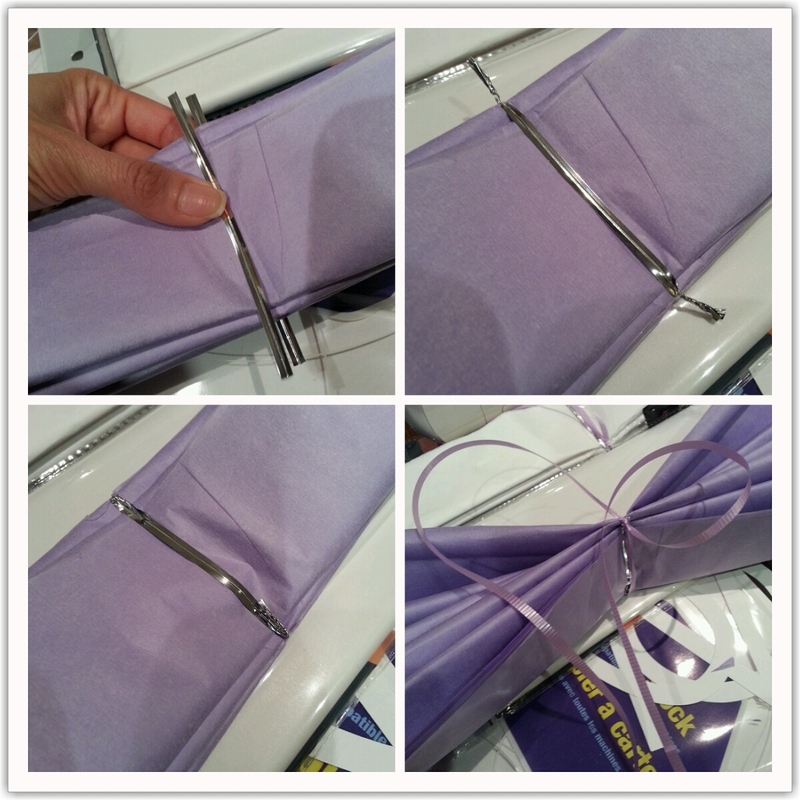 Using your scissors, cut both ends of the tissue paper into a point. 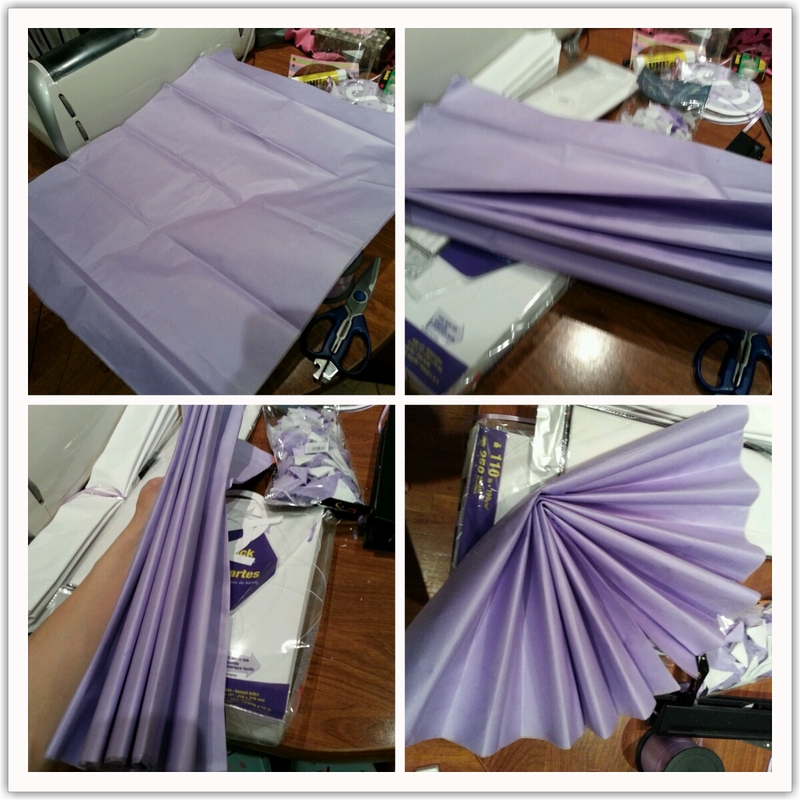 Carefully fan open your accordian & pull up the first layer of tissue paper. 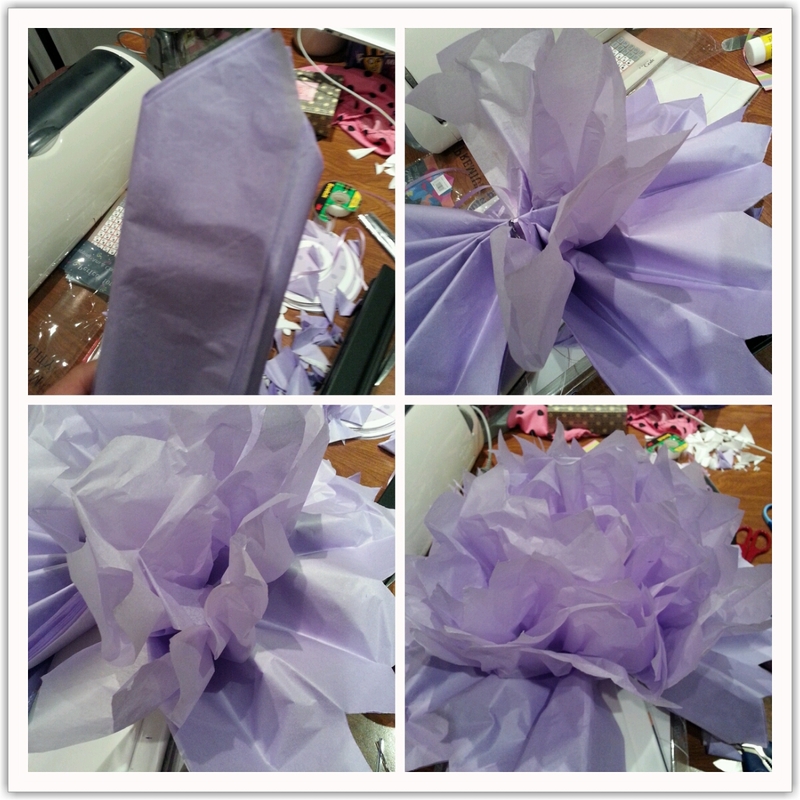 Continue to do 5 pieces of tissue paper. Then, do the same on your opposite side. I find it easier to do one side completely first, before turning it upside-down to complete the rest. 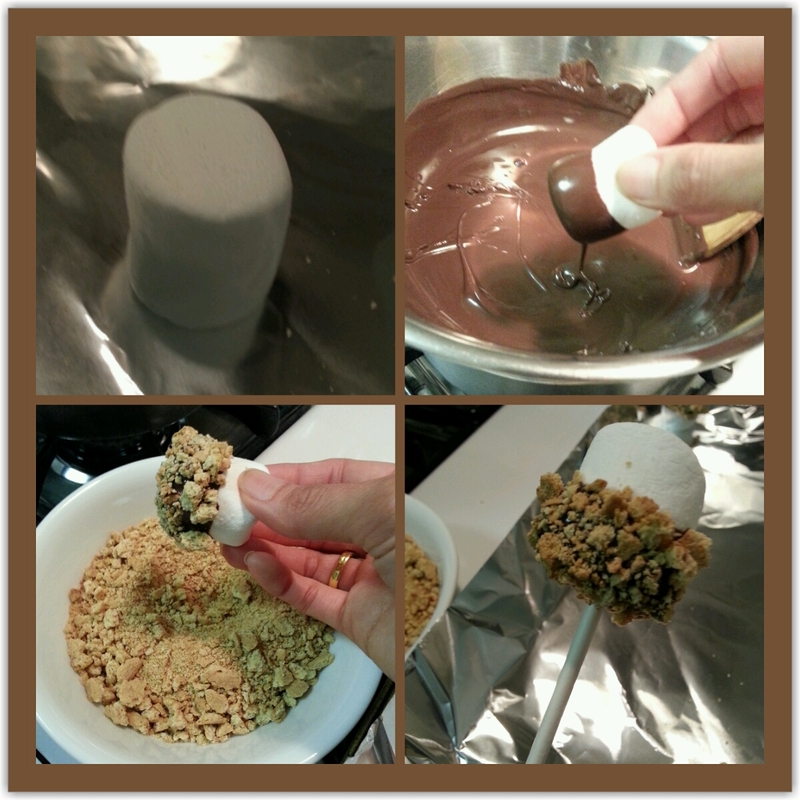 Flip it upside-down, then ruffle each of the layers there as well. 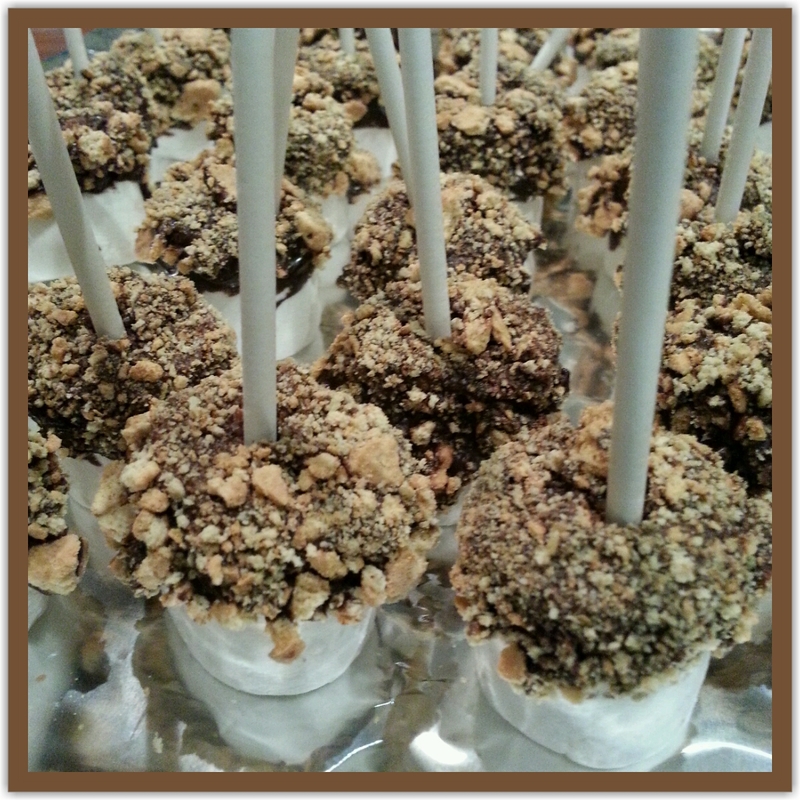 Fluff it up to make it look pretty. Don’t worry too much if you rip a piece of tissue, they are thin, but no one will notice. 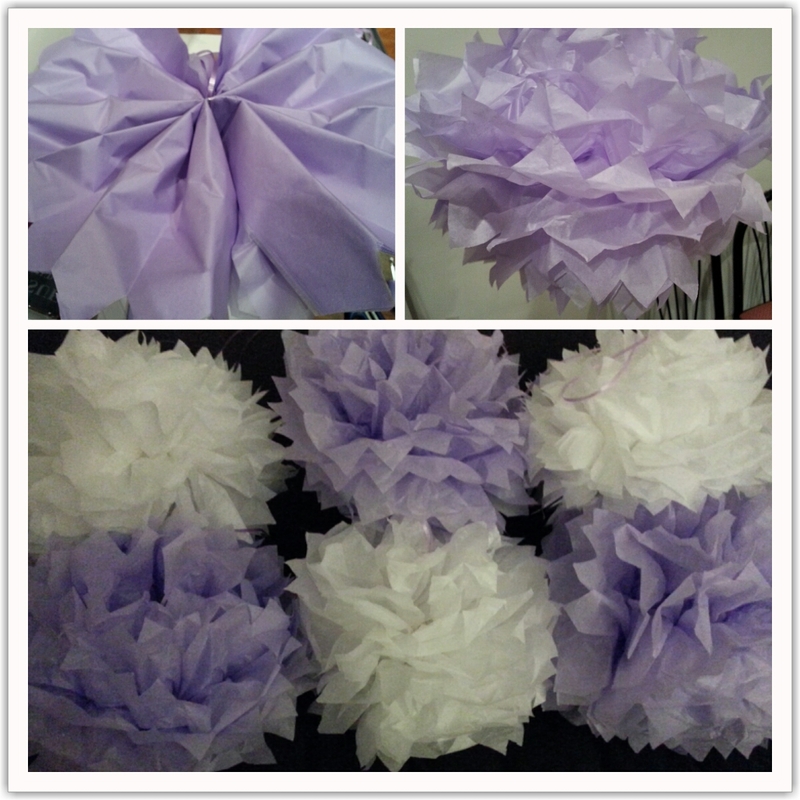 Now you have a bunch of pretty pom poms for decorating any space or for a party. These are simple & cheap to make & you can re-use them for anything!